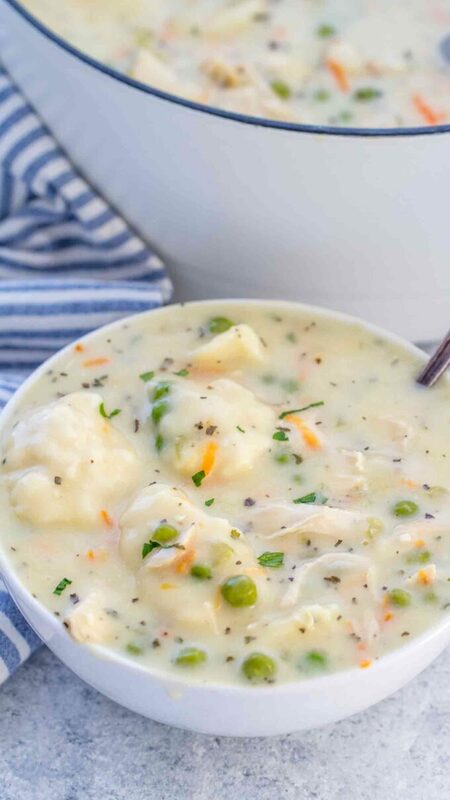 Old Fashioned Chicken and Dumplings is a great dinner recipe filled with tender chicken, veggies and tender dumplings. 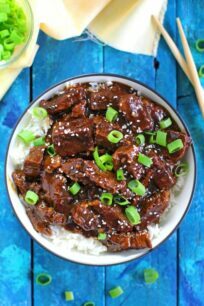 This flavor-filled dish is perfect to enjoy when you crave to feel the comfort of a classic homemade recipe. It is also great if you are looking for a soup that’s a little out of the ordinary. This homemade delicious recipe is the perfect meal for anyone who wants to not have a typical soup. If you enjoy comfort foods, this is as good as it gets. Our other favorites are Cheeseburger Soup and Homemade Chicken Noodle Soup. 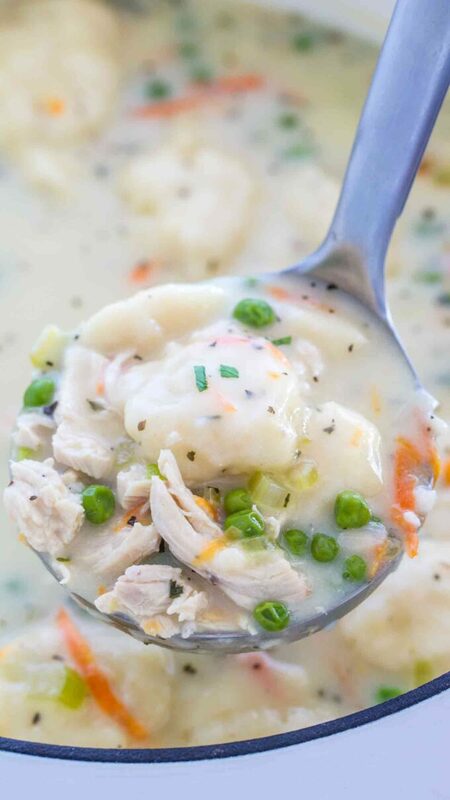 Old Fashioned Chicken and Dumplings soup is so good that you will want to make it again and again. We love this recipe because it isn’t your typical soup. It’s different from your everyday chicken noodle soup or tomato soup and adds a little bit of extra goodness to your meal. If you’re wondering what to do with the leftovers, be prepared to freeze them and save it for later. It will be just as delicious and flavorful later on. Serve your cravings for comfort and delicious food in the comfort of your own home. 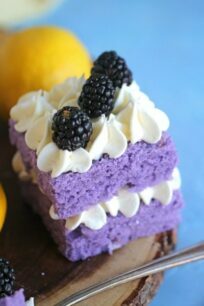 They’re very easy to make too! 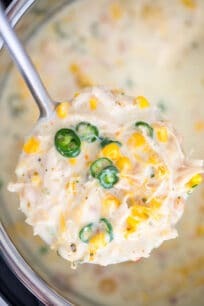 This is a great dish to serve kids as well because it’s not super messy and so delicious! If anyone is a picky eater in the family it will help to know what goes into it because you can adjust the recipe to your leisure. How do you fix runny chicken and dumplings? 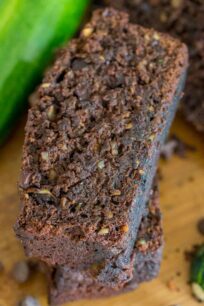 The beauty of this recipe is its simplicity and the fact that you can easily prepare it from scratch. Starts by including the tender dumplings and juicy chicken in an easy homemade broth. Once ready, you should have a rich and balanced dish. Add some roux to the veggies, so that the broth can thicken. If the soup is still on the runny side after you add the dumplings, add a cornstarch and water slurry to thicken it. Why are my dumplings chewy? Dumplings are supposed to be chewy! The soup that sinks into them is what gives them the flavor and the added texture. However, if they’re too chewy it may mean that you didn’t cook them enough. They should be flavorful and creamy. 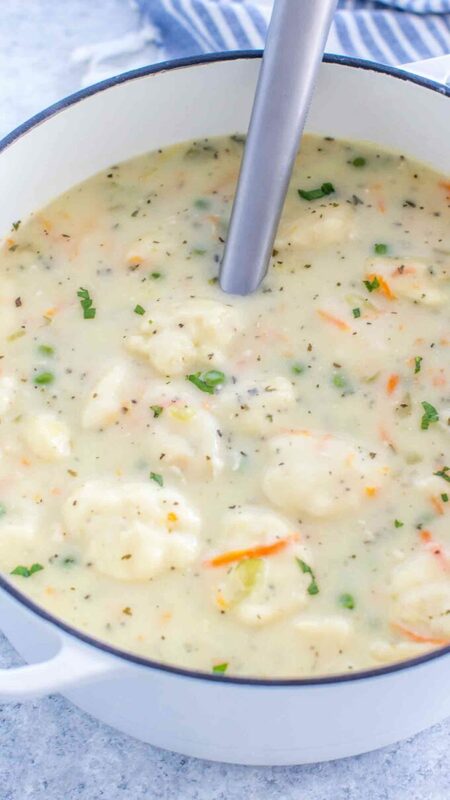 Can you make Gluten Free Old Fashioned Chicken and Dumplings? 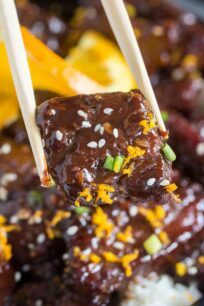 You can easily make this delicious dish gluten-free. Simply, replace regular flour with a gluten-free version. Take 1 cup of any gluten-free all-purpose baking mix and replace it with the flour that is written to cook with. Makes sure you use gluten-free flour that can be replaced 1:1. Next, combine it with the salt and baking powder. Stir in the salt. Then, take two tablespoons of melted butter, mix it in until crumbly and add buttermilk. Finally, make sure you stir in until very well combined. How do you make dumplings from flour and water from scratch? Dumplings to use in this recipe are super easy to make, they are buttery, flavorful, creamy and delicious. Put baking powder, flour, and salt in a mid-size bowl. Add melted butter and using a fork stir mixture until it has a crumble like texture. Stir some buttermilk in to make it have a soft dough. Drop the dough in small spoonfuls into the boiling soup. Cover the pot and let it simmer for about 15 minutes without taking the lid off. Put the soup in an airtight container. Next, transfer the dumplings in a separate bag. Take out all the extra air that has been trapped inside of it. Place both in the freezer and let them freeze. How to reheat Old Fashioned Chicken and Dumplings? Take the dumplings and soup out of a refrigerator/ freezer. Then, add the broth into the pot. Heat until the juice gets absorbed into the dumplings a little more. Once the water begins to boil, then it is ready to serve again. 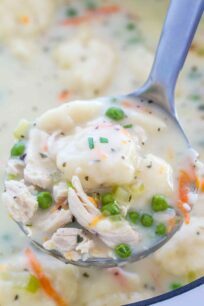 Old Fashioned Chicken and Dumplings is a great dinner recipe filled with tender chicken, veggies and tender dumplings. 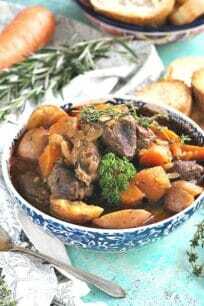 Place a large pot or Dutch oven over medium-high heat. Once the oil is sizzling, season the chicken with salt and pepper on both sides and add it to the pot. Brown on each side for about 5-7 minutes. 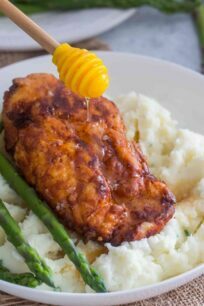 The chicken doesn't have to be fully cooked, but nicely browned for extra flavor. Remove chicken from pot and set aside on a plate, cover with foil. Add three tablespoons of butter to the same pot and melt. Add onion, stir and cook for 1 minute. Add minced garlic, shredded carrots, and celery. Stir and cook until softened for about 5 minutes. Add 1/3 of flour and stir to combine. Stir and cook for 1-2 minutes. Add cream little by little and stir very well until combined. Add chicken broth, dried parsley, and basil. Add salt and pepper. Stir to combine. Add back chicken breasts, bring to a boil. Reduce heat to low and simmer covered for 10 minutes. 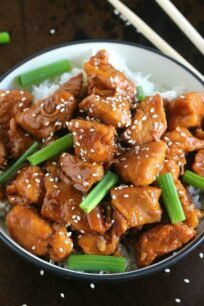 Once the chicken is cooked, transfer the chicken breast to a large bowl, and use forks to shred it. Add flour, salt and baking powder to a medium bowl. Stir to combine. Add melted butter, and using a fork stir it until combined and a crumbly mixture forms. Add buttermilk and stir until fully combined. Add back shredded chicken to the pot. 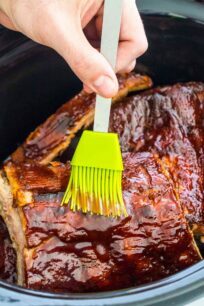 Use a small cookie scoop, about 1 tablespoon in size. Use a larger spoon, for larger dumplings. Scoop dough and drop directly into the simmering soup. Place them around the pot, not all in the same place. Once all dumplings have been added, gently press them down so the soup covers them. Cover with the lid and continue to cook on low heat for about 15 minutes. Gently stir from time to time, to make sure stuff doesn't stick to the bottom of the pot. Once the dumplings are cooked through garnish with fresh parsley and cook. You can use a shredded rotisserie chicken to save time. You can also use biscuit dough, instead of the homemade dumplings.